The Hawke’s Bay Racehorse Owners & Breeders Associations will stage their annual race day function at the Hastings racecourse on Saturday, April 27. 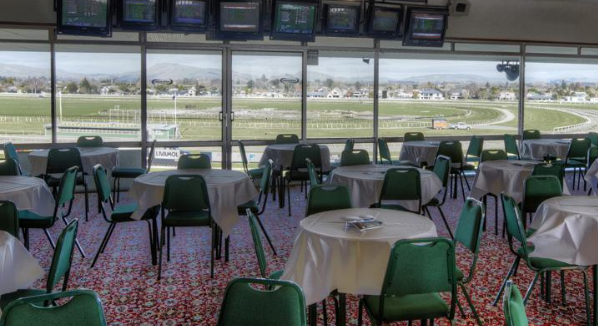 This will be the day of the Hawke’s Bay Racing’s feature race meeting and the function will be held in the Karamu/Estella Lounge, situated in the top floor of the Members Stand. The room will be available from 11.30am and there will be a $10 surcharge for financial members and partners with a luncheon served at approximately 1pm. There will be a charge of $35/head for the meal for additional guests. A cash bar will be in operation with complimentary drinks served until approximately 2.30pm courtesy of Brighthill Farm and shareholders in the stud’s new stallion Preferment. Wristbands will be issued upon arrival in the lounge and racebooks and pens will be provided. There will also be a member’s draw prior to each of the races run at Hastings that day. For catering purposes members are asked to RSVP by April 20 with their numbers to either Tony Lyndon (06 8768250) or Sharyn Craig (0274 999084).